Beauty and Moral Education, CGIE 2004 International Forum, Integrated education, spiritual education, Moral education, Rhett Diessner, Ph.D.
Lewis-Clark State College 500 8th Ave.
(a) Encouraging sensitivity to and recognition of beauty in the natural world and in art may lead the way to recognizing moral beauty in the human social world. (b) Recognizing moral beauty leads to the recently identified moral emotion of “elevation.” (c) Experiencing the moral emotion of “elevation” leads to moral (prosocial) action tendencies. As there is no empirical research evidence for the above hypothesis (a), that topic is explored rationally; however, there is very recently emerging research evidence to support hypotheses (b) and (c) (Haidt, 2003; Algoe & Haidt, 2004). Therefore it is advocated that curricula and instruction be designed to emphasize exemplification of moral beauty, and to encourage students to feel the moral emotions, particularly the emotion of “elevation.” Emphasis is placed on the roles of the principles of unity-in-diversity and disinterestedness (selflessness) in regard to perceiving beauty in the natural world, in art, and in human beings. Rhett Diessner is employed as Professor of Psychology and Education at Lewis-Clark State College, Lewiston, Idaho, USA. Previously he has taught at Heritage College (Toppenish, WA; Yakama Indian Nation, 1983-85); Harvard Graduate School of Education (1985-1988); and Landegg International University (Switzerland, summers of 1997-2002); he served as school psychologist for the Yakama Tribal Schools 1982-1985. His research interests include moral development and education, cross-cultural constructions of human development, love and moral emotions, beauty and hope, and pedagogy for understanding. He has published in Journal of American Indian Education; Peace and Conflict: Journal of Peace Psychology; Social Behavior and Personality; Converging Realities. A Journal of Art, Science and Religion; Peace Psychology Bulletin; The Journal of Social Psychology; Psychology and Aging; Counseling and Values; Psychology in the Schools; The Journal of Bahá’í Studies; The Journal of Genetic Psychology; The Journal of Early Adolescence, Educational and Psychological Measurement; and The Teaching Professor. 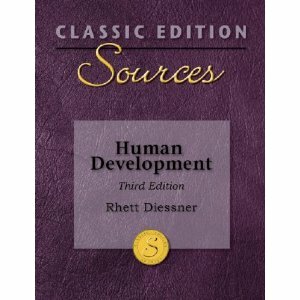 He also has edited two textbooks published by Dushkin/McGraw-Hill: Sources: Notable Selections in Human Development (2e, 2001) and Sources: Notable Selections in Educational Psychology (2000). The relationship between experiencing beauty and moral education has not been reported in journals of Education nor in Psychology journals in the English language (cf. Diessner, Adams, & Richel, 2003; implied in Algoe & Haidt, 2004). Using combinations of the words “beauty,” “moral,” and “education” there are no hits in ERIC or PsycInfo for articles in the Journal of Moral Education; and, in fact, in PsycInfo, “moral x beauty x education” turns up only 5 hits, but nothing after 1978 and nothing directly relevant to educators. There are 22 hits in ERIC for various combinations of “moral x beauty x education,” but there is only 1 of those 22 that actually has anything to do with curriculum and instruction regarding beauty and moral education (Armon, 1997). There are 2 hits for “moral beauty” in PsycInfo, and both are citations to Haidt’s work (2000, 2003) on “elevation,” a moral emotion that is elicited by moral beauty. Haidt’s work is allied with the recent theory and research in the Positive Psychology movement (Snyder & Lopez, 2002; Peterson & Seligman, 2004) and emphasizes that experiences of beauty can elicit the moral emotions, and lead to moral action tendencies (Haidt, 2002; Haidt, 2003; Keltner & Haidt, 2003; Haidt & Keltner, 2004; Algoe & Haidt, 2004). This paper contains the hypothesis that encouraging sensitivity to and recognition of beauty in the natural world and in art may be a developmental stepping-stone to recognizing moral beauty in the human social world. However, there is historical evidence that simply becoming sensitive to and knowledgeable about beauty is not sufficient to cause moral action. Gardner (1999a) points out that the German intellectuals that ran the Nazi party in Hitler’s Germany were highly educated in the beauty of literary and visual art. It may be, that besides knowledge of beauty, motivating moral emotions, elicited by moral beauty, are necessary to bridge the gap between the knowledge of beauty and moral action.Therefore, a second hypothesis in this paper is that recognizing moral beauty leads to moral emotions, and that, specifically, experiencing the moral emotion of “elevation” leads to moral (prosocial) action tendencies. And, indeed, there are initial research findings regarding the moral emotions indicating that this is true (Haidt, 2003; Algoe & Haidt, 2004). Consequently, in this paper will be advocated that we design curricula and instruction to emphasize exemplification of moral beauty, and to encourage students to feel the moral emotions, particularly the emotion of “elevation.” Emphasis will be placed on the role of the principle of unity-in-diversity in regard to perceiving beauty in the natural world, in art, and in human beings, due to its central role in morality and spirituality. The organization of the paper below begins by examining elements of a definition of moral education, particularly “selflessness” (in the context of “disinterestedness”) and “virtue” (the virtues are synonyms for “moral beauty”). Then elements regarding definitions of beauty will be described, focusing on “unity-in-diversity” and “disinterestedness.” Following that will be sections on integrating experiences of beauty, moral beauty, and the moral emotion of “elevation” with moral education. The paper will end with a few suggestions concerning the integration of beauty and moral education with psychomotor, emotional, intellectual and spiritual education. The following is not a comprehensive definition of morality, nor of moral education. Rather, it outlines definitional elements that are relevant to moral education themes that emerge later in the paper. In the context of this paper moral education refers to teaching and learning in the domain of the moral. The domain of the moral is the good and the bad, the right and the wrong (Dewey & Tufts, 1909, see ch. 10; Frankena, 1973). Human morality involves voluntarily willing the good and the right (Dewey & Tufts, 1909); producing moral emotions (Haidt, 2002) that motivate us toward the good and the right; thinking about and intellectually determining what is good and right (with either quick, unconscious, and intuitive cognition [Shweder & Haidt, 1993; Haidt & Joseph, in press] or with slow, conscious, logical and deliberative cognition about what is good and right [Kohlberg, 1984]); and doing what is good and right. Such a view of morality implies that the human psyche (soul) is endowed with three fundamental abilities: the abilities to will (conation), to emote (esp. to love) and to know (cognition) (cf. Hilgard, 1980; Danesh, 1997; Diessner, 2001; Diessner, Adams, & Richel, 2003; Diessner, Frost, & Smith, in press). Relevant to this, an important goal of moral education and integrative education is to unify the will, the emotions, and the intellect in the service of the good. Analogous to this, Socrates in Plato’s The Republic (380BCE/1937, Book IV), explained that the psyche consists of three “parts”: the logical-rational (logiston), the spirited or affective (thymia), and the desiring (epithymia). Socrates stated that when these three parts, or abilities, were unified and in harmony, then the human soul exemplified justice, and thus would be prepared to serve the Good. Later in this paper we will relate beauty to unity-in-diversity, thus indicating that when these three diverse abilities of the psyche are unified in service to the good, the human soul itself becomes more beautiful. Essential to morality is the development of virtues. Virtues may be construed as human traits or dispositions that are congruent with moral goodness and spirituality. Virtues may also be viewed as signs of moral beauty (cf. Haidt, 2003; Haidt & Keltner, 2004). Western philosophical works on virtue and morality range from the Hellenic period (esp. Aristotle’s arête) up to the present controversy on the place of virtue in ethics (MacIntyre, 1984); from practical spiritual guides for the everyday employment of virtues (Popov, 2000; Popov, Popov, & Kavelin, 1997) to virtue being re-legitimized in the field of psychology by the Positive Psychology movement (Snyder & Lopez, 2002; Peterson & Seligman, 2004). Most spiritual and ethical traditions emphasize the acquisition of virtues. For instance, when ‘Abdu’l-Bahá (1844-1921) was asked, in Paris in 1912, “What is the purpose of our lives?,” he reputedly answered, “To acquire virtues” (1912/1961, p. 177). The title of Lao-tse’s famous text, the Tao Te Ching, literally means Book of the Way of Virtue. The Confucian text, The Doctrine of the Mean, encourages the development of five fundamental virtues: a) jen (humaneness, benevolence), b) li (reverence, respect and loyalty to others; the main way of expressing jen), c) yi (acting on righteousness from selfless motives), d) chih (wisdom and knowledge), and e) hsin (trust or faithfulness) (Occhinogrosso, 2002; de Bary, Chan, & Watson, 1960). It seems clear, whether in the East or the West, whether in philosophic or spiritual traditions, the importance of virtue in moral development is considered fundamental. Of course, it is likely that a Chinese understanding of selflessness will differ from a Western view of selflessness; perhaps a Chinese view looks more toward the person being one with the Tao as selflessness, and the Western view may focus on unselfishly kind acts as selflessness. However, in both Eastern and Western cultures, selflessness will have elements in all three of the “Big Three” central moral concerns that are universally cross-cultural: Autonomy, Community and Divinity (cf. Shweder, 2003). Another way of defining morality is that all “movement” toward development of the moral and spiritual virtues, and thus all movement toward the Mandate of Heaven, is moral development; all movement away from the Mandate of Heaven and heavenly virtues is vice. Moral education is the process of teaching and learning in regard to 1) knowing the good, 2) experiencing moral emotions to motivate us toward the good, and 3) choosing to will the good. It includes the teaching and learning process of acquiring the virtues, of becoming selfless, and of integrating the abilities to know, to emote (and love) and to will in the service of the good (i.e., moral action). Heaven (T’ien) is perfectly beautiful; it is the source of all beauty, whether that be natural beauty or spiritual beauty. Heaven is also the source of the virtues (te), and every virtue of Heaven is beautiful. In this point of view, all created things, and all physical and spiritual realities, have the signs of Heaven within them; and to “see” those signs is to see beauty. “Everything has beauty, but not everyone sees it” (Confucius, ca. 500 BCE/2004, p. 1). That is, whenever a human perceives beauty, it means that the human is perceiving the signs of Heaven revealed in that “thing.” Heaven’s beauty is “mirrored” into everything, according to the rank and capacity of that thing (Bahá’u’lláh, 1976, see pp. 63 & 261; for full quotations, see Appendix One below). Socrates, the great philosophical sage of Greece, in Plato’s The Symposium (380BCE/1989), states that there is a developmental progression of loving beauty. Initially humans love beauty in physical things, especially beautiful bodies; then they advance to love the beauty of the non-physical human soul (psyche); then they advance to love the beauty of a unified social order maintained by beautiful practices (such as li, and the other virtues [te]); then they advance to love the beauty of true knowledge, upon which the beautiful social order rests; and finally they love Beauty Itself, that is, they love the beauty of Heaven (i.e., the source of the Platonic Forms, the Form of the Good). Hegel (German philosopher, 1770-1831 CE), in his Introductory Lectures on Aesthetics (ca. 1835/1993) emphasized that beauty, especially in fine art, is “a mode of revealing to consciousness and bringing to utterance the Divine Nature” (p. 9). As a “vocabulary note,” notice that “beauty” and “glory” connote and denote each other. As the greatest dictionary of international English states, “glory:…4a(1): great beauty or splendor (Merriam-Webster’s Third New International Dictionary, 1971, p. 967).” For brief quotations from several of the world’s spiritual traditions concerning glory and beauty, see Appendix Two below. It is as difficult to precisely define beauty as it is to define the other great attributes of Heaven. Witness the difficulties in exactly defining jen or love or justice or wisdom or even virtue (MacIntyre, 1984). However, there are two threads that run through Western philosophic notions of beauty that will be addressed here: a) unity-in-diversity and b) disinterestedness. diversity of parts was to become a unity: it has rallied confusion into co-operation: it has made the sum one harmonious coherence: for Idea is a unity and what it moulds must come to unity as far as multiplicity may. The 18th century British philosopher, Francis Hutcheson (1694-1746 CE), is perhaps the most explicit in identifying unity-in-diversity as the cause of beauty. Dickie (1997) points out that Hutcheson reduced the cause of beauty to one particular principle: “uniformity in variety” (p. 14). The early 19th century German philosopher, Arthur Schopenhauer (1788-1860 CE), focused on the necessity of being disinterested to recognize beauty; that is, the perceiver of beauty must lose all desire, must at least temporarily suspend all will, to recognize the pure Idea manifested in their perception of beauty. Schopenhauer’s uses “Idea” in the tradition of the Platonic Forms; it is similar to the concept of an Attribute of Heaven. In regard to unity-in-diversity, he states, ‘The Idea is the unity that disperses into multiplicity by virtue of the temporal and spatial form of our intuitive apprehension…” (1819/1995, p. 148). Additionally, the Spanish born Harvard professor of aesthetics, George Santayana (1863-1852 CE), although emphasizing the pleasure of beauty, considered beauty along two major lines, that of form and of expression. Regarding form, Santayana wrote, “Beauty of form, however, is what specifically appeals to an aesthetic nature…,” and that form is “the unity of a manifold [unity-in-diversity]” (1896/1961, p. 77). The great Italian philosopher of aesthetics, Benedetto Croce (1866-1952 CE), primarily considered aesthetics and beauty in terms of an “expressionist” theory (1902/1960; Sheppard, 1987). He did, however, focus on both form and unity-in-diversity in regard to art. “The aesthetic fact, therefore, is form, and nothing but form” (Croce, 1902/1960, p. 16). “Another corollary of the conception of expression as activity is the indivisibility of the work of art. Activity is a fusion of the impression in a organic whole. A desire to express this has always prompted the affirmation that the work of art should have unity, or, what amounts to the same thing, unity in variety. Expression is a synthesis of the various or multiple, in the one” (1902/1960, p. 20). Iris Murdoch (1919-1999 CE), recently professor of philosophy at Oxford, labeled the essay that begins her text, Metaphysics as a Guide to Morals (1992), as “Conceptions of Unity. Art.” She goes on to address unity-in-diversity by stating, “All sorts of things have ‘aesthetic aspects,’ but what I have in mind is the traditional concept (now under attack) of the unified work of art” (p. 2). In summary, although most philosophers of beauty and aesthetics do not directly identify beauty with unity-in-diversity, many consider it essential to the expression of beauty or the creation of authentic art, and nearly all philosophers have addressed “the issue” of unity-in-diversity in regard to beauty. Disinterestedness, selflessness, and the will. Another theme in regard to beauty, that is addressed by most philosophers of aesthetics, is “disinterestedness.” By this term they mean that participating in beauty is an end-in-itself; that the relationship of the perceiver to the object of beauty is one of total non-utility – that the perceiver does not desire to possess the beauty, or use the beauty in anyway. It does not mean to be uninterested, but rather that one has no economic interest in the beauty, that one is impartial and unselfish in regard to the experience and object of beauty (Dickie, 1997). If a person does let their selfish interests enter into their observation of beauty, it will sully that beauty, and they will not “see” the beauty in its purity. Schopenhauer is emphasizing that, to truly appreciate beauty, and to see the eternal Ideas (the Forms, or Attributes of Heaven) revealed in the object of beauty (whether that is a mountain, a flower, a work of art, or a human being), one must entirely give up her “will” while engaged with the beauty of the object. In terms of moral and spiritual development, this means becoming selfless (cf. Diessner, 1991); it implies one must give up one’s will to the Will of Heaven to truly see the beauty in any and all things. As Nel Noddings makes clear, if we want to morally educate, the teacher’s themselves must be moral. If we hope to help our students become more caring, we must model being caring (Noddings, 1992). Moral education very much depends on the quality of the character of the teacher. To integrate the love of beauty into the curriculum, the teacher must love beauty, especially moral beauty, and it seems, to be effective, the teachers must love beauty disinterestedly, selflessly. Think of how motivated (through vicarious reinforcement [Bandura,1986]) some students become when teachers simply show their spontaneous love (selfless and disinterested) of the beauty of arithmetic or a geometric proof; their celebratory love of beautiful rhyme in a beginning reader; and their appreciative love of a student’s written sentence, or paragraph, or story or essay. The teacher’s disinterestedness is shown in at least two ways: a) pure spontaneous pleasure at the perception of beauty, and b) they are not praising the beauty of the student’s work as a reinforcement to try to subtly manipulate the student to do more school work; rather they are simply celebrating the beauty of the student’s work in the moment. The teacher can also sensitize their students to the principle of unity-in-diversity. The teacher can show how 1 + 2 = 3 takes two diverse elements (1 and 2) and creates a unity (3) by adding them together; how rhyme unifies two sentences or phrases through the medium of beautiful sound; and how sentences unify subjects and predicates, or verbs and nouns and adjectives. By noting both the unity-in-diversity aspect of all these different forms of curricula, and verbally stating that they are beautiful because of this, the teacher may better prepare students for perceptions of moral beauty. “Everything has beauty, but not everyone sees it” (Confucius, ca. 500 BCE/2004, p. 1). As everything has some attribute of Heaven revealed within it (Bahá’u’lláh, 1976) it is possible to integrate experiences of beauty with every type of curricular material. Schopenhauer (1819/1969) agreed, noting that, “Every quality of matter is also always phenomenon of an Idea, and as such is also susceptible to aesthetic contemplation…” (p. 214). One of the founders of the Impressionist art movement, Camille Pissarro, put it this way, “Everything is beautiful, only one must know how to interpret it” (quoted Srejovic, 1977, p. 138). And the linguistic philosophers, Lakoff & Johnson (1980), had this to say about the ubiquity of aesthetics, “Aesthetic experience is thus not limited to the official art world. It can occur in any aspect of our everyday lives—whenever we take note of, or create for ourselves, new coherences that are not part of our conventionalized mode of perception or thought” (p. 236). What is called for is the “aesthetic attitude” (Dickie, 1997). For the purposes of this paper the aesthetic attitude means to “look with the eye of beauty” upon all things. It is critical, for relating beauty to moral education, that the teacher have the “aesthetic attitude,” and display it in front of her or his students. Simple interventions in the classroom include: a) as mentioned above, pointing out to the students the beauty the teacher sees in whatever curricular material the class is working with, b) asking students to indicate the beauty that they find in the curricular material under study, and/or c) having a few students, each day, report on experiences of beauty they have encountered in the last 24 hours (the teacher could rotate through 3 or 4 different students everyday.) I recently tried the latter approach with a small class of high school students, and they seemed to enjoy and look forward to the “beauty” reports each day (I did not, however, systematically collect data). I had the students report three experiences of beauty: 1) an experience of beauty in the natural world, 2) an experience of beauty in a human-made object, and 3) an experience of moral beauty (observing someone apply one of her or his virtues). Is there beauty to be found in all things? It appears that at least Confucius, Bahá’u’lláh, and Schopenhauer think so. I do not believe that beauty is “in the eye of the beholder,” rather, I agree with Socrates that beauty is objective (cf. the “man is the measure of all things” disputation in the “Theaetetus” of Plato [380BCE/1937]). However, humans clearly differ in what they refer to as beautiful, and I do believe that the human phenomenological experience of beauty is in the eye of the beholder. Some of this difference can be explained by the “aesthetic attitude.” The more a student or teacher develops this attitude, the more beauty they see around them; the less developed, the less beauty they notice. Also, some of the difference among us in perceiving beauty is illustrated by Sheppard (1987): “So I might judge my red tulip to be beautiful, while you might think that is not tall enough to be a perfect specimen of a tulip and so is not beautiful. The difference between us is that we are regarding different features of the tulip as relevant to our assessment of its beauty” (p. 74). Often, when one person finds an object ugly, and the other finds it beautiful, they have simply focused on different elements or attributes of the object. This is similar to Noddings’ (1992) notion of “confirmation” regarding finding some element of moral beauty in students’ wrong-doing. “Confirmation requires attribution of the best possible motive consonant with reality. When someone commits an act we find reprehensible, we ask ourselves what might have motivated such an act” (p. 25). For example, we might see a student strike another student in class. Rather than focus on the wrong-ness of striking another, we know the student well enough to realize that they were concerned with justice, as the person that they hit had just stolen the pencils of her friend. We make it clear we disapprove of hitting, but we also make it clear that we see the beauty of the moral self trying to emerge by enacting justice. Noddings notes that the student who receives confirmation, then thinks about her teacher, “Here is this significant and percipient other who sees through the smallness or meanness of my present behavior a self that is better and a real possibility” (p. 25.). And that student does not then label herself as a “wrong-doer,” and have that become part of her identity (to be played out in future actions); rather the student then thinks of herself as someone who did something wrong that one time, but will not do so again, because the student now believes a bit more in that “better self” that the teacher identified. It happened one day in the time of Christ – may the life of the world be a sacrifice unto Him – that He passed by the dead body of a dog, a carcass reeking, hideous, the limbs rotting away. One of those present said: `How foul its stench!’ And another said: `How sickening! How loathsome!’ To be brief, each one of them had something to add to the list. To summarize: as beauty can be found in all things, when one “sees with the eye of beauty,” and takes the “aesthetic attitude,” then it is relatively easy to integrate experiences of beauty in the classroom without even introducing any new curricular materials. Of course, this doesn’t mean that the teachers and students should not fill their classroom with beautiful visual art, books of beautiful prose and poetry, gorgeous music, etc. Let’s do that too. In the official new “manual” of the Positive Psychology movement, “appreciation of beauty and excellence” is considered one of the twenty-four universal virtues and character strengths (Peterson & Seligman, 2004). “Appreciation of beauty and excellence (or simply appreciation) refers to the ability to find, recognize, and take pleasure in the existence of goodness in the physical and social worlds” (Haidt & Keltner, 2004, p. 537). Haidt and Keltner (2004) propose that there are three kinds of goodness to which it is beneficial to be appreciatively responsive: a) physical or natural beauty, b) skills and talents, and c) displays of virtue or moral goodness. We will focus on the appreciation of virtue in others, as a mode of moral education, but first we will make a note of the moral implications of the appreciation of physical beauty and the appreciation of the skills and talents of others. The active appreciation of physical beauty (a mountain range, a painting, a piece of music, etc.) is accompanied by feelings of pleasure, happiness and perhaps joy. Those emotions correlate with doing good to others, or being of service to them. The happiness from being engaged by beauty makes one more open to, and motivated to, help others; it is an example of the classic finding in social psychology of the “feel good – do good” phenomenon (Myers, 2001). In regard to appreciation of the skills and talents of others (i.e., non-moral excellence), such appreciation brings out the moral emotion of “admiration” (Algoe & Haidt, 2004). Admiration has at least two moral implications: 1) admiration increases our praising of others, especially praising the person whose skill we observed, and increases our desire to deepen our relationship with that person, and 2) after experiencing the emotion of admiration, we are more motivated to work hard on our own goals and projects (Algoe & Haidt, 2004) (perhaps even assigned school work! ), i.e., its good for achievement motivation. To the degree that praising others is moral, and being inspired to work harder in developing your own skills is moral, admiration is a moral emotion. It is, however moral beauty, in the context of moral education, that is the primary topic of this paper. In general, I believe that anything that expresses, manifests or reveals the Attributes of Heaven contains moral beauty; and, as those attributes are generally known as virtues, all virtues are, or are signs of, moral beauty. I hypothesize that observation of persons enacting any of the twenty-four universal virtues, identified in the Positive Psychology movement (Peterson & Seligman, 2004), can elicit a perception and appreciation of moral beauty (see the list of these 24 virtues in Appendix C). The appreciation and cognition of moral beauty can then lead to the moral emotion of “elevation” (Haidt 2002, 2003; Algoe & Haidt, 2004). In particular, Haidt (2002) states that “Acts of charity, kindness, loyalty and self-sacrifice seem to be powerful elicitors” of “elevation” (p. 864). Haidt (2002) offers a “preliminary definition of the moral emotions as those emotions that are linked to the interests or welfare either of society as a whole or at least of persons other than the judge or agent” (p. 853). Haidt then describes “two prototypical features of moral emotion” as being “disinterested elicitors” and “prosocial action tendencies” (2002, pp. 853-4). Similar to the description above regarding “disinterestedness” in perceptions of beauty, Haidt indicates that disinterested elicitors are events that do not directly touch the self; that is, such events as “triumphs, tragedies, and transgressions” that occur to others, even to complete strangers. Prosocial action tendencies are motivational and cognitive states that lead to helping others. In Haidt’s review article of “The Moral Emotions” (2002) he describes three “other-condemning” moral emotions, “contempt, anger and disgust”; three “self-conscious” moral emotions, “shame, embarrassment, and guilt”; and two moral emotions from “the other-suffering family,” “distress at another’s distress (DADD) and sympathy/compassion.” He then mentions that there may be many “positive moral emotions,” but the emotions that he reviews in “the other-praising family” are gratitude and “awe and elevation.” It is “elevation” that is of particular interest to the goals of this present paper, for two reasons: 1) Haidt (2002) notes that it is the only positive moral emotion, reported in the field of psychology, that meets his two criteria of disinterestedness and prosocial tendencies, and in his research he finds that “elevation” is particularly elicited by “moral beauty” (Haidt, 2003; Keltner & Haidt, 2003; Algoe & Haidt, 2004). Haidt’s (2002) research indicates that elevation “is elicited by moral beauty” and “appears to be caused by seeing manifestations of humanity’s higher or better nature; it triggers a distinctive feeling in the chest of warmth and expansion [dilation of the breast]; it causes a desire to become a better person oneself; and it seems to open one’s heart, not only to the person who triggered the feeling but also to other people” (p. 864). Haidt notes that it shares in common with “gratitude” a sense of affection for the person who elicited the emotion, but it’s prosocial action tendencies go beyond gratitude’s to include a “generalized desire to become a better person oneself and to follow the example of the moral exemplar” (2002, p. 864). In the scenario in the above paragraph, the generosity of the student, in sharing her fish, becomes a perception of moral beauty for you. It triggered a distinct warm physiological feeling in your chest, and helped create a prosocial action tendency to share your own lunch in the future with any student who needs it. The importance of moral emotions cannot be over-emphasized. Although the careful, deliberative moral reasoning that was advocated by Kohlberg (1984) is crucial to solving conflicts of justice, and effective in finding the moral principles embedded in socio-moral problems, his great theory had trouble bridging the gap between a logical moral judgment and moral action (Kohlberg, 1984; Kohlberg & Candee, 1984). The missing link is motivation. Moral emotions can “move” us from cognition about moral judgments, and cognitions about moral actions, to performance of those moral actions (cf. Shweder & Haidt, 1993; Haidt & Joseph, in press, on intuitive ethics and moral emotions). Why emphasize beauty in moral education? Experiences of beauty may prepare us to recognize and appreciate the moral beauty of human beings. Why emphasize moral beauty? Moral beauty is a casual factor, and elicitor, of the profound moral emotion, “elevation.” Why emphasize “elevation?” Because to enact our moral intuitions or moral reasonings, we must be motivated, and emotions motivate us to bridge the gap between moral thinking (intuitive or deliberative) and moral action; and because elevation creates in us the desire to improve our moral selves and to serve others (Haidt, 2002, 2003; Keltner & Haidt, 2003; Algoe & Haidt, 2004). Another critical reason to emphasize beauty and moral beauty in the educational process is “unity-in-diversity.” Perhaps the greatest moral problems of our historical age are centered on this issue. How can separate nation states serve the best interests of their citizens if there is no effective global law between nations? Do not nations need to be allowed a relative sovereignty within their borders, while still submitting to international law and standards? Religious prejudice is tearing apart many corners of our world – do we not need unity in diversity of religion – that is, respect for the world’s great religions and their followers, whether we are an atheist or a follower of a particular religion? Do not the cultures of the world need to unify in respect for each other, while maintaining their distinctiveness? Do we not need to transcend racial and ethnic prejudice, and love everyone regardless of the color of their skin? To be clear, by advocating for unity-in-diversity, I am in no way encouraging hegemonic globalization or cultural uniformity (which is the opposite of unity), but rather, to embrace the beauty of the diversity of nations, cultures, ethnicities, religions etc. On the other hand I am not pretending that every cultural practice is good, nor am I a value relativist. I am confident that every culture has semi-unique moral goods which could help enlighten and “develop” other cultures; and every culture has its own semi-unique moral disorders as well, which it would be best not to share with the rest of the world. By taking a unity-in-diversity approach, ensuring the attitude that every culture has its own moral beauty, we can put the cultural differences on the table and discuss them in a spirit of loving respect. Art projects in the classroom increase fine motor control, while directly encouraging students to both observe beauty and create beauty. Music education does the same, whether it is lessons in singing and voice or with musical instruments. Physical education, such as sports and martial arts, provide many situations in which to observe “poetry in motion,” or in our context, “beauty in motion.” Using the vocabulary of beauty, as put forth in this paper (unity-in-diversity, disinterestedness, virtue, etc.) to describe movement in sports and martial arts, and to focus students in art and music lessons, is one form of moral education. Current research on “emotional intelligence” indicates that it is more important for personal happiness, or even success in the business world, than is traditional “IQ” type intelligence (Goleman, 1995; Mayer & Salovey, 2004). Perhaps the easiest and most powerful way to integrate moral and emotional education is through literature. The selection of texts for the students to read should be full of moral exemplars, and moral villains, to draw out the positive moral emotions of elevation, awe, admiration and the moral aspects of the negative emotions of disgust (at degradation), anger (at injustice), and shame (from moral errors) (see Haidt, 2003, esp. the quotation from Thomas Jefferson on this topic [p. 275]). Intellectual education, or in this context, cognitive education, can well be integrated with emotional intelligence and moral education, by what is immediately suggested above. In many cultures linguistic intelligence is valued as one of the most, if not the most, important of the various intelligences (Gardner, 1999b), and teaching students to analyze characters in literature can enhance intellectual and emotional intelligence, and contribute to their moral education when that literature relates to moral emotions and moral beauty. And, as indicated earlier in this paper, the beauty of mathematics, and the beauty of the natural world (esp. noting all the examples of unity-in-diversity present in math and science), can be directly indicated to the students, or indirectly modeled by the teacher’s own emotional response of “elevation” to the beauty of math and science. Integrating the three fundamental abilities of the human psyche: the powers of knowing, of emoting (esp. loving), and willing, in the service of the good, is crucial to spiritual education (Danesh, 1997; see Socrates in Plato’s The Republic, esp. Book IV, 380BCE/1937; we note that the Greco-Socratic meaning of logiston (reason), thymia (affect) and epithymia (desire) are likely not equivalent to our modern meanings of knowing, emoting and willing – we are only implying they are analogously similar). One of the greatest attributes of Heaven is Justice, and Socrates makes the argument that when the three fundamental abilities of the human are properly integrated, then the human soul is just. To explore the implications of what this means, and how to morally educate for it, would require another paper. However, I will give a brief example relevant to this paper. As we read about the lives of Kung Fu-tse and Socrates, we exercise our power to know. Their lives inspire in us a feeling of jen or love and/or “elevation,” that is, moral emotion. These emotions give us a prosocial tendency to act to better ourselves and to serve others, as Kung Fu-tse and Socrates served others. Our “will” then commands our body to act, and changes the prosocial action “tendency” into true action of service to others. Of course, as the virtues are all signs and attributes of Heaven, all education that helps students develop virtues, directly or indirectly, is spiritual education. And, last, but not least, although unity-in-diversity is a fundamental aspect of the natural and social world, it is also a fundamental aspect of Heaven (T’ien) and spirituality. Therefore all education that helps students cognitively understand, and emotionally engage with, unity-in-diversity is spiritual education. ‘Abdu’l-Bahá. (1978). Selections from the writings of ‘Abdu’l-Bahá (A committee at the Bahá’í World Centre and M. Gail, Trans.). Haifa, Israel: Bahá’í World Centre. Algoe, S., & Haidt, J. (2004). Witnessing excellence in action: The “other-praising” emotions of elevation, gratitude, and admiration. Manuscript submitted for publication. Bandura, A. (1986). Social foundations of thought and action: A social-cognitive theory. Danesh, H. (1997). The psychology of spirituality. From divided to integrated self. Wienacht, Switzerland and Hong Kong: Landegg Academy Press and Juxta Publishing. de Bary, W. T., Chan, W., & Watson, B. (Eds.) (1960). Sources of Chinese tradition. Volume I. New York: Columbia University Press. Dewey, J. & Tufts, J. H. (1909). Ethics. New York: Henry Holt & Co.
Dickie, G. (1997). Introduction to aesthetics. An analytic approach. Oxford: Oxford University Press. Diessner, R. (1991). Selflessness: Congruencies between the cognitive‑developmental research program and the Bahá’í writings. Journal of Bahá’í Studies, 3, 3‑12. Diessner, R. (2001). Foundations of educational psychology: Howard Gardner’s neo-classical psyche. The Journal of Genetic Psychology, 162, 495-501. Diessner, R., Adams, J., & Richel, T. (2003). Ontological presuppositions in Lickona’s and Ryan’s character education and in Gardner’s universal curriculum. Unpublished manuscript. Diessner, R., Frost, N., & Smith, T. (in press). Describing the neoclassical psyche embedded in Sternberg’s triangular theory of love. Social Behavior and Personality, 32. Etcoff, N. (2000). Survival of the prettiest. The science of beauty. New York: Anchor Books. Frankena, W. K. (1973). Ethics, (2nd ed.). Englewood Cliffs, NJ: Prentice‑Hall. Gardner, H. (1999a). The disciplined mind. What all students should understand. NY: Simon & Schuster. Gardner, H. (1999b). Intelligence reframed: Multiple intelligences for the 21st century. New York: Basic. Haidt, J. (2000). The positive emotion of elevation. Prevention and Treatment, 3, n.p. Haidt, J. (2002). The moral emotions. In R. J. Davidson, K. Scherer, & H. H. Goldsmith (Eds. ), Handbook of affective sciences (pp. 852-870). Oxford: Oxford U. Press. Haidt, J. (2003). Elevation and the positive psychology of emotion. In C. L. M. Keyes & J. Haidt (Eds. ), Flourishing: Positive psychology and the life well-lived (pp. 275-289). Washington, DC: American Psychological Association. Haidt, J., & Keltner, D. (2004). Appreciation of Beauty and Excellence [Awe, Wonder, Elevation]. In C. Peterson & M. E. P. Seligman (Eds. ), Character Strengths and Virtues. A Handbook of Classification (pp. 537 – 552). Oxford: Oxford University Press. Haidt, J., & Joseph, C. (in press). Intuitive ethics: How innately prepared intuitions generate culturally variable virtues. Daedalus. Hatcher, J. (1987). The purpose of physical reality. The kingdom of names. Wilmette, IL: Bahá’í Publishing Trust. Kohlberg, L. & Candee, D. (1984). The relation of moral judgment to moral action. In W. Kurtines & J. Gewirtz (Eds. ), Morality, moral behavior and moral development. New York: Wiley Interscience. MacIntyre, A. (1984). After virtue (2nd ed.). Notre Dame, IN: University of Notre Dame Press. Mayer, J. D., & Salovey, P. (2004). Social intelligence [Emotional Intelligence, Personal Intelligence]. In C. Peterson & M. E. P. Seligman (Eds. ), Character Strengths and Virtues. A Handbook of Classification (pp. 337-353). Oxford: Oxford University Press. Murdoch, I. (1992). Metaphysics as a Guide to Morals. London: Penguin Books. Myers, D. (2001). Social psychology (7th ed.). New York: McGraw-Hill. Peterson, C. & Seligman M. E. P. (Eds.) (2004). Character Strengths and Virtues. A Handbook of Classification. Oxford: Oxford University Press. Popov, L. K., Popov, D., & Kavelin, J. (1997). The Family Virtues Guide: Simple Ways to Bring Out the Best in Our Children and Ourselves. New York: Plume. Popov, L. K. (2000). The Virtues Project Educator’s Guide: Simple Ways to Create a Culture of Character. Carson, CA: Jalmar Press. Compassion, Altruistic Love, “Niceness”]. In C. Peterson & M. E. P. Seligman (Eds. ), Character Strengths and Virtues. A Handbook of Classification (pp. 325-335). Oxford: Oxford University Press. Schopenhauer, A. (1969). The world as will and representation. In two volumes (E. F. J. Payne, Trans.). New York: Dover Publications, Inc. (Original work published 1819). Sheppard, A. (1987). Aesthetics. An introduction to the philosophy of art. Oxford: Oxford University Press. Shweder, R. A., & Haidt, J. (1993). The future of moral psychology: Truth, intuition, and the pluralist way. Psychological Science, 4, 360-365. Shweder, R. A. (2003). Why do men barbecue? Recipes for cultural psychology. Cambridge: Harvard University Press. Srejovic, D. (1977). Museums of Yugoslavia. NYC: Newsweek & Arnoldo Mondadori Editore. “From the exalted source, and out of the essence of His favor and bounty He hath entrusted every created thing with a sign of His knowledge, so that none of His creatures may be deprived of its share in expressing, each according to its capacity and rank, this knowledge. This sign is the mirror of His beauty in the world of creation. The greater the effort exerted for the refinement of this sublime and noble mirror, the more faithfully will it be made to reflect the glory of the names and attributes of God, and reveal the wonders of His signs and knowledge. Every created thing will be enabled (so great is this reflecting power) to reveal the potentialities of its pre-ordained station, will recognize its capacity and limitations, and will testify to the truth that “He, verily, is God; there is none other God besides Him” (Bahá’u’lláh, 1976, p. 262). “The portals of Thy grace have throughout eternity been open, and the means of access unto Thy Presence made available, unto all created things, and the revelations of Thy matchless Beauty have at all times been imprinted upon the realities of all beings, visible and invisible” (Bahá’u’lláh, 1976, p. 63). Hindu: “Fain would I see, as thou Thyself declar’st it, Sovereign Lord! The likeness of that glory [great beauty] of Thy Form wholly revealed. O Thou Divinest One” (Bhagavad-Gita, 2000, Ch. 11, n. p.)! Buddhist: “By day it is the sun which shines, at night the moon shines forth. A warrior shines in his armour, and a brahmin shines in meditation. But at all times, by day and by night, the Buddha shines in his glory [great beauty]” (The Dhammapada, 1993, Ch. 26, n. p.). Christian: “And the Word was made flesh, and dwelt among us, (and we beheld his glory [great beauty], the glory as of the only begotten of the Father,) full of grace and truth” (Bible, John, 1:14, KJV). Muslim: “And he said, ‘Truly do I love the love of good, with a view to the glory [great beauty] of my Lord’” (Qur’án 2000, 38:32). Bahá’í: “If trials afflict thee not in thy longing to meet Me, how wilt thou attain the light in thy love for My beauty” (The Hidden Words of Bahá’u’lláh, 1975, p. 15 )? November 19, 2000 from the World Wide Web:http://db.islam.org:81/Quran/ssearch.htm.